I don’t travel for work that often, but when I do, I never pack correctly. I’m always forgetting something or bringing the wrong clothes. 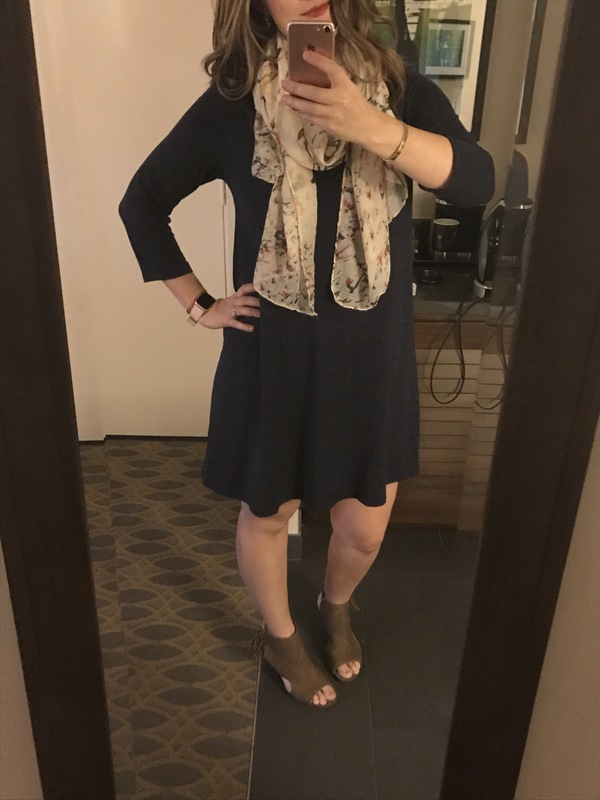 So on a recent cross-country work trip to sunny California, I finally felt like I had hit it out of the park with this easy and comfortable outfit. And get ready for a killer secret: this dress is from Costco. Yes, the same place where you can 10 pounds of mayonnaise and a killer flat screen TV also stocks some really great designer basics. This Hilary Radley dress was $12.99 and my only complaint is that I didn’t buy it in more colors. Have you scored any great fashion finds at Costco?